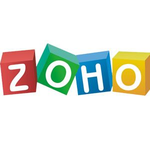 Zoho Books is an online accounting software that allows you to easily manage the money flowing in and out of your business. Manage your customers and invoices, while keeping expenses in check. Record, monitor and reconcile your bank accounts and transactions, and collaborate with your accountant in real-time. Most importantly, Zoho Books helps you make better, more informed decisions and stay on top of your business.